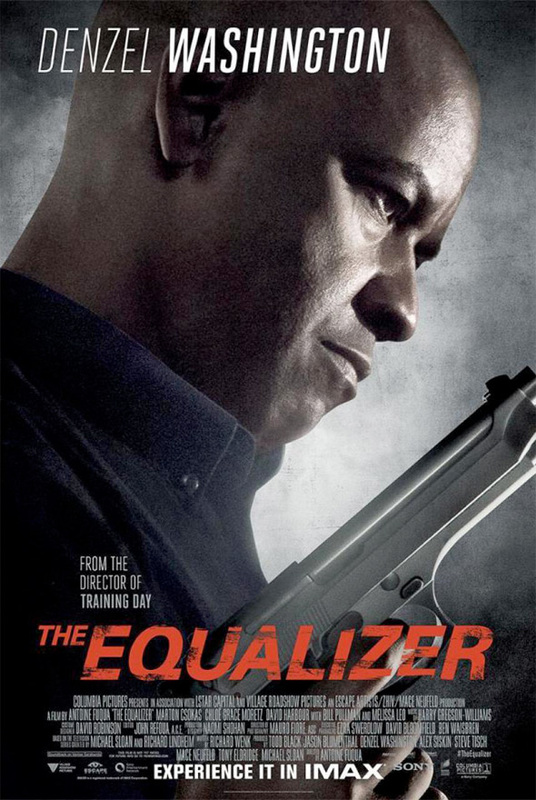 The most recent trailer for Sony Pictures contemporary update of the 80s TV series The Equalizer starring Denzel Washington almost feels like a spiritual sequel to his fantastic thriller Man on Fire. Now Washington takes center stage on an IMAX poster for the film from director Antoine Fuqua (Training Day). A sequel is already in development for the film because it's been testing so well with audiences, so we're anxious to see what we'll get this fall. While we're not sure a film like this needs to be seen on the IMAX, especially when no part of the film was shot on the large format, some people will get suckered in. Oh yay can't wait for generic Denzel Washington action movie! I'm sorry but Denzel and Generic should never ever be said in the same sentence. Oh gee I thought this character was like every other action character he has played, my mistake sorry. His name this time is "McCall" and oh this time it's not some drug thing like in that movie 2Guns oh no it's "Russian Gangsters". My apologizes sir. Usually better than the generic Liam Neeson action movie. Yah think? Denzel has always been a hundred steps ahead of Neeson. Ever since Taken Neeson has just been overblown into oblivion. He has become a running joke in cinema literally. Such a smooth head. Looks good. Denzel Washington fits in perfectly as the black ops commando living in America with a Scottish surname. Who's bright idea was that to cast a black actor instead of a British or even an Australian actor? Last name doesn't define your ethnicity.. You do know that right? Well, I have long European surname and everyone assumes that I am either Russian, Greek or Lebanese. My surname does define my ethnic back ground even though I was born in Australia.